When you purchase a new or Apple Tree certified vehicle from Apple Tree, you will be covered the day you purchase your vehicle until 10 years from January 1 of the model year of the vehicle or up to one million miles on the odometer, whichever occurs first. Automatic Transmission Equipped. Transmission Case and all internal lubricated parts including oil pump, valve body, torque converter, governor, clutches, bushings, shafts, gear sets, bearings, vacuum modulator, dipstick, and tube. Manual Transmission-Equipped. Transmission case and all internal lubricated parts including shafts, bushings, bearings, gear sets, synchronizers and shift forks. Transfer Case Equipped: The Transfer Case housing and all internal lubricated parts. Front Wheel Drive Equipped. Drive axle housing and all internal lubricated components including carrier case, gear sets, chain and sprockets, bearings, bushings, axle shafts, constant velocity joints and double offset joints (except if the boot was damaged or missing). Rear Wheel Drive Equipped. Drive axle case and all internal lubricated parts including a carrier, ring and pinion gear sets, bearings, bushings, limited slip clutch park, axle shafts, drive shaft(s), drive shaft support and u-joints. Four Wheel Drive/ All Wheel Drive Equipped. All components listed under Front Wheel Drive Equipped and Rear Wheel Drive Equipped and covered. Your first 3 oil changes and one tire rotation are all on us. We invite you to check out our award-winning service department and leave your vehicle in the trusted hands of our manufacturer-certified technicians. See limited warranty for details. Towing coverage is included with new & certified pre-owned vehicles. If your vehicle breaks down due to a covered component, you will be reimbursed for reasonable towing charges. Please see limited warranty for details. For the first year you own your new or certified vehicle; you will be covered in the event you breakdown more than 100 miles from home for travel expenses such as airline tickets, hotels, meals, and car rental up to $75 per day. Please see limited warranty for details. Apple Tree Certified Pre-Owned vehicles must meet strict requirements in regards to their condition. Apple Tree has put each vehicle through an extensive multi-point inspection. Every Apple Tree Certified Pre-Owned Vehicle comes with a FREE vehicle history report. Vehicle history reports include information on accidents, odometer rollback, lemon vehicles, flood damage, branded titles and much more. 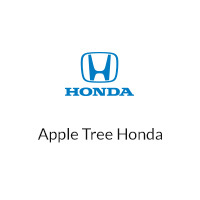 Apple Tree is recognized as one the top Honda dealers in the United States and is Fletcher, NC’s premier Acura dealer. We service Asheville N.C and the surrounding area. Our goal is to create the best customer experience and to provide service to you even after your purchase that is second-to-none. We believe in keeping customers for life and that is why we offer one of the most comprehensive parts and service department in the automotive industry. We strive for 100% customer satisfaction every time. We carry a large inventory of OEM certified parts in stock at all times, to help keep turnaround times down, and to serve all of our customer’s needs. Our highest priority is our customer and is why we continue to give back to you by letting you test our service department with our maintenance programs included in the 10 year/one million mile warranty. Come see what makes Apple Tree so highly rated in customer satisfaction.